The 2013 MCSA Supertramp Award of up to R15 000 is available to a young South African (no more than 25 birthdays by 31 December 2012) who either individually or in a group (the group should also be comprised entirely of South Africans who are under 25-years-old) will take on a mountaineering-related expedition / trip during 2013. All applications MUST reach the award committee by no later than 5 January 2013. Previous unsuccessful applications may be resubmitted. 2008: Not a single application was received in time! 2010: Michael Woodward climbed on Mt Mulanje in Malawi. 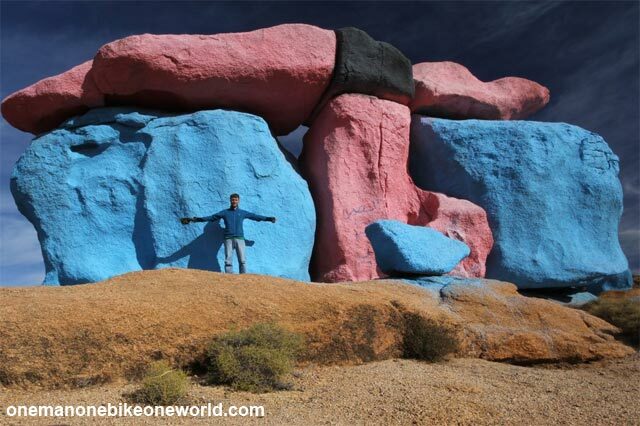 2011: Joe Mohle explored climbing in Morrocco. 2012: Alisdair Walton and Michael Potgieter will be climbing in Colombia in December. 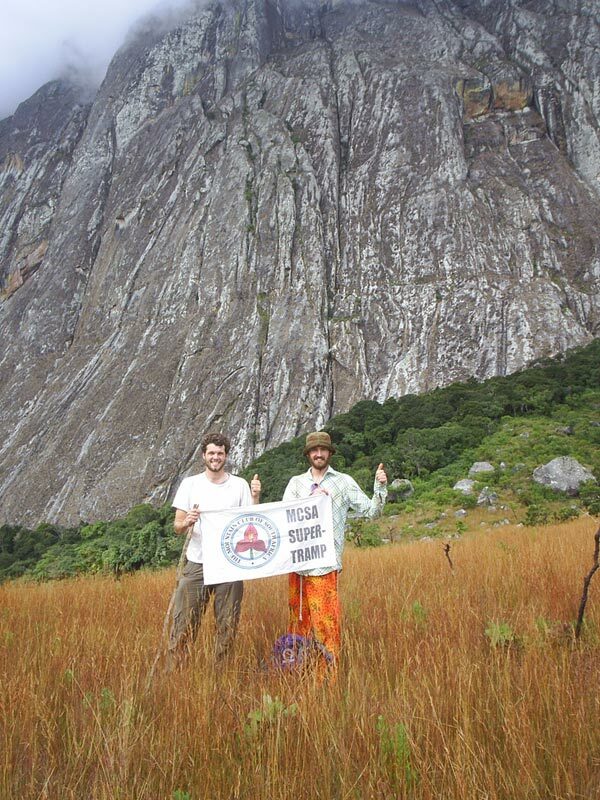 Michael Woodward (right, 2010 MCSA Supertramp) and Grant Davies (left) and standing on the Chambe basin (a big ledge separating the first and second sections of the Mount Mulanje Chambe west face direct, Malawi). The wall above is 1.1km high and the total climb is 1.7km High! The MCSA Supertramp Award are administered since 2005 by the Magaliesberg (Pretoria) Section of the MCSA for those young, impecunious wanderers whose cynicism is still directed outwards, in the hope that they will purchase at least a map, and as a tribute by the donor to the voyager who was Alexander Supertramp who wisely gathered his rosebuds whilst he could (Read ‘Into the Wild’ by Jon Krakauer). 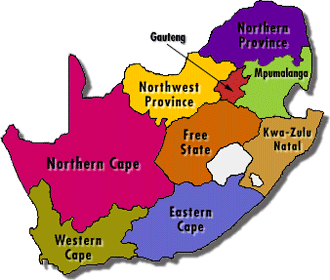 Eligibility (applicant): South African citizens who are no older than 25 years as at 31 December 2012 who in 2012 will be participating in or leading an expedition of South African mountaineers who all are no older than 25 years as at 31 December 2012. Eligibility (destination): Any country — including South Africa — for any length of time. Preference will be given to originality as well as to first ascents and/or unusual/remote destinations. Closing date: The prescribed application form (in MS Word) should be submitted by email, no later than 5 January 2013 for an expedition planned for 2013. Additional material can be supplied as hard copy or on CD by post. The MCSA is well aware of the prohibitive costs involved in the organisation and implementation of expeditions for all members of the South African mountaineering community, but especially younger members who have no recourse to funds. In lieu of this, the MCSA has assembled an award committee (the ‘MCSA Supertramp Award Committee’) which will undertake to make funds available in order to facilitate such expeditions. 2. that the award be granted to a single person, whether or not the expedition team comprises two (or many) young South African mountaineers. The recipient may then decide the manner in which the money is spent. 4. that, on return from the expedition, the recipient provide feedback of the expedition (including submission of an article to the MCSA Journal 2013 and a report to MCSA (Central Committee)), as well as presentations to the MCSA so as to encourage other young mountaineers and to promote mountaineering amongst young people. 1. If you wish to submit any further information (text only – no pictures or powerpoint presentations), attach it to the application form. 2. Where “relevant experience” is requested, please provide names and approximate dates (year only) of routes done, mountains climbed, etc. 3. The referees named must know you personally and should be able to provide a recommendation of your mountaineering conduct as well as personal standing. 4. For “equipment costs” please list additional gear that you need to purchase for this expedition. Do not include the value of the total gear required for the expedition. 5. The MCSA Supertramp Award committee may request you to submit further information regarding routes, planning or budgeting if it feels such information is necessary. 6. The committee must be informed immediately about any changes in expedition objective or its team members. The committee reserves the right to reconsider the granting of the award in the event of significant changes. 7. By specifying the objectives of your expedition you and your party undertake to make every reasonable effort to achieve these aims. Of course, your personal safety – and that of the expedition members must never be compromised to achieve these objectives. 8. You are expected to familiarise yourself with the laws and regulations of the country you are visiting and abide by those. Applicants are responsible for obtaining their own passports and visas to the destination country. 9. Your application will be considered by the MCSA Supertramp Award committee and should the committee decide to sponsor the expedition you will be informed telephonically or via email by 31 January 2013. Method of payment can be arranged at that stage, but the money will be made available one month before the date that the expedition is due to leave. Montagu: Waterworld is Climbable Again!